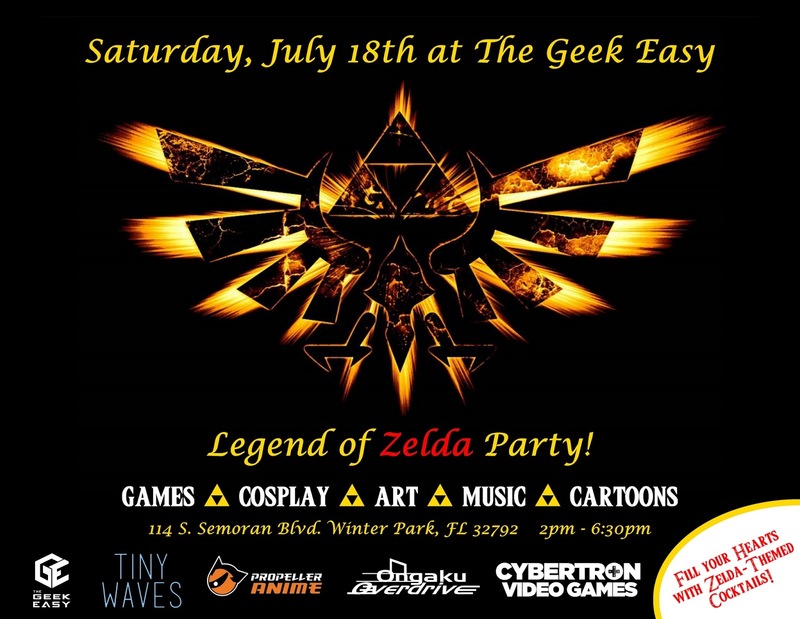 There will be several stations set up with classic Legend of Zelda games, our Anime Nite Orlando screen with Super Smash Bros for WiiU, art vendors, a costume contest, and Zelda-themed cocktails. 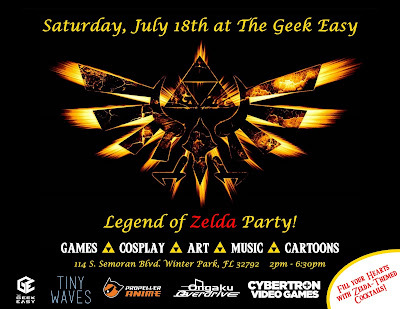 Not only that, there will be Zelda-themed DJ sets from Benjamin Briggs and The Hoshikuzu Kid! Oh, and episodes of that legendary Legend of Zelda cartoon will shown to kick things off! 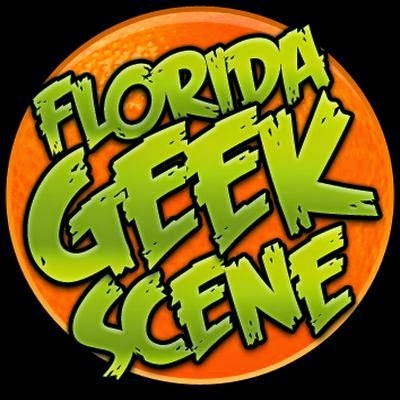 That is a whole lot fun in one afternoon! We'll see you this Saturday!